Innovation is a necessity now, and is a part and parcel of every sector. There is the potential to innovate in every person and you need a platform to nurture that potential. The Institute of Inspiring Innovation is that platform.The individuals associated with helping you develop the potential are our coaches. They play the role of catalysts and come with a rich background of real-life experiences, global exposure and have gone through the process of what it takes to innovate.Our programs encompass what is current and relevant in the market. We have a well-defined structure and innovative IT systems to support continuous learning and help you develop the competency to be innovative. 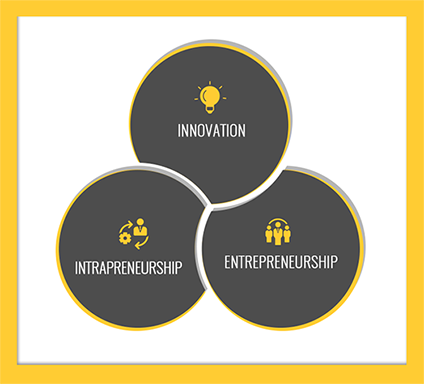 The Institute of Inspiring Innovation (iii) is a new-age institute nurturing new age leaders through Innovation, Intrapreneurship and Entrepreneurship. Learning is a never ending process. Our publications, including books will inspire you on your journey towards an innovative tomorrow. Our courses are designed to create an intensive, yet engaging educational experience. The participants get to leverage our practical experience of translating ideas into realities, models and frameworks for enabling innovation, developing leadership and accelerating entrepreneurship. Change is constant and inevitable. Leadership demands the willingness to recognize the need for change, and the ability to lead it. This is an Innovation Competency Development Program for the movement of introducing innovation and bringing about positive change. Through a deep immersion session with 9 modules such as a Little Extra, Out of the Box Thinking, Ideation Bootcamp, and so on, it benefits corporates who want to work towards creating, managing and leading change. Leaders or aspiring leaders in various functions in an organization desire to deliver superior and innovative results in every task, every day. This is a Signature Program for corporates who want to drive change and create the right culture for innovation which can bring in positive disruption in the industry and society at large. Play Your Cards Right. Stay Relevant. Stay Ahead. Everyday in your career is a new day with new challenges which constantly pushes you to do more and be more. The objective of this workshop is to kindle the hidden inner potential in you and enable you with innovative methods for professional growth. Learn how to create value, employment, solution and wealth in the business game with the aces that will keep you ahead. Organizations need individuals with creative and innovative insights to find and solve meaningful problems. 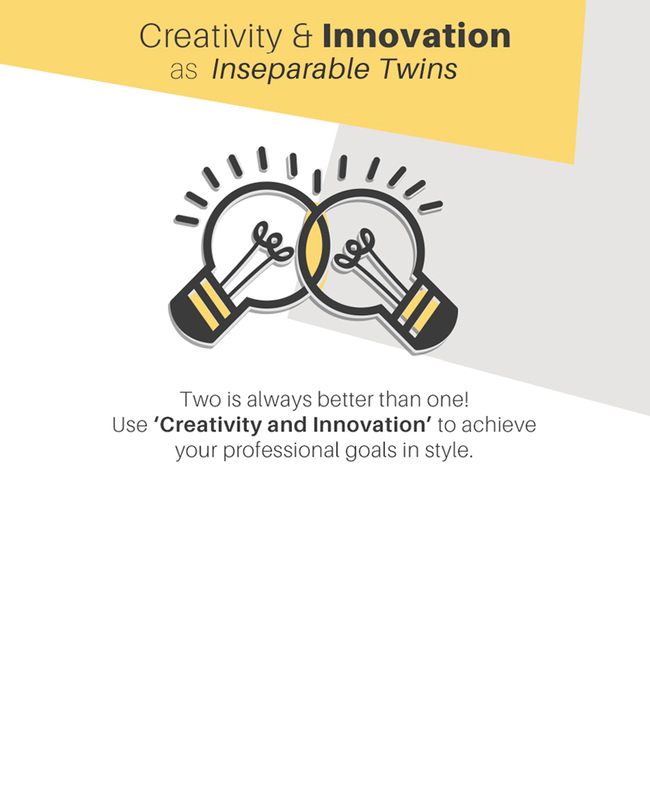 Two is always better than one, and when this paired principle is put into practice, the results are ever-inspiring and can deliver superior results in the workplace. This is a course specifically designed for corporates to harness their human capital. 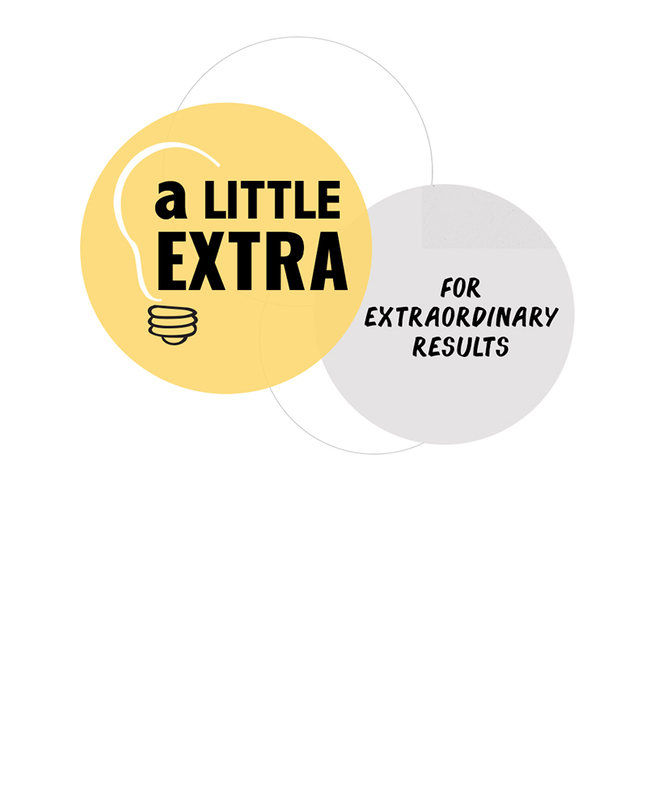 It is the ‘little extra’ that ensures extraordinary results. In order to understand how to be a little extra, one needs to learn the secrets from those who have gone through the cycle and produced extraordinary results. This workshop is all about learning the secrets to achieve success, be it in sales, product development or customer management. The capacity to be innovative has become a required core competency for every person, in every job, every day. 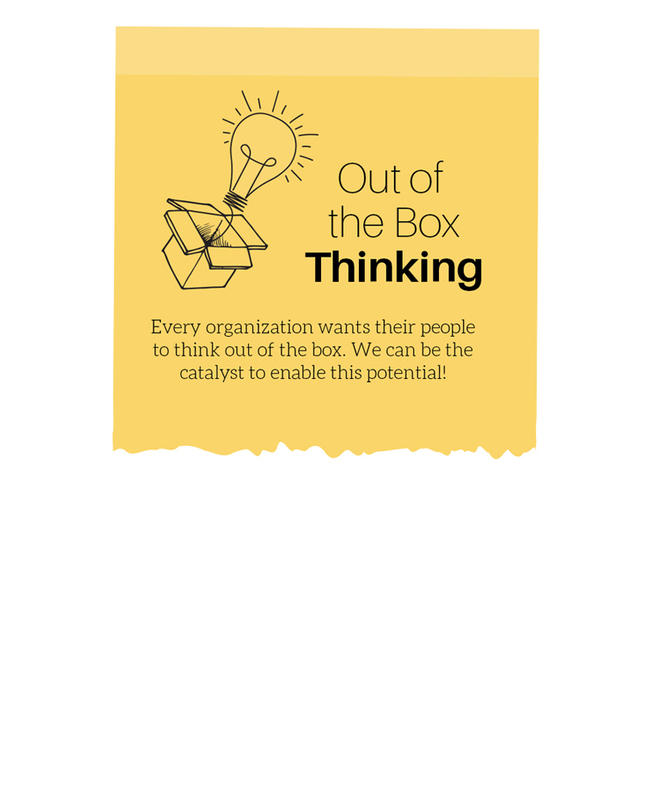 And while everybody aspires to think out of the box, organisations need a catalyst to nurture this potential and build the competency among their employees. 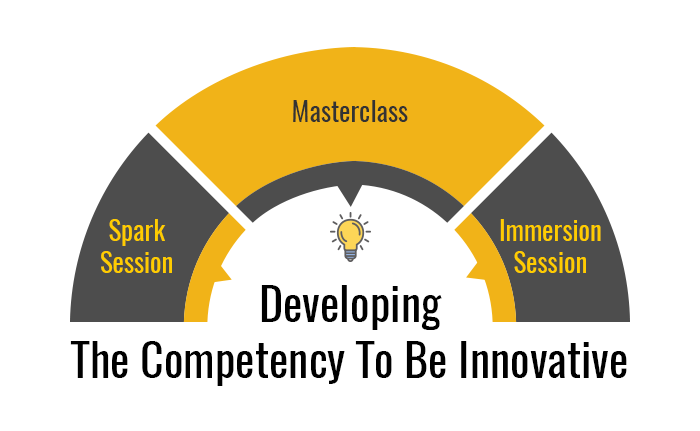 This workshop aims to equip you to think innovatively. It can benefit anyone who needs to move out of their comfort zone and challenge their thinking. Not every idea can or should become a commercial reality. Many a time, people think ideation is an art and do not see the other side of it, which is science. The art is coming up with creative ideas, while the science is having a disciplined approach to distill ideas and picking the one that can possibly be the winning idea. This program will equip you with an ability to build on the next multi-million dollar idea. A program designed by an entrepreneur for students who aspire to become entrepreneurs, individuals who desire to work in a startup, or for those who want be part of a large corporate. As organizations are on the lookout for individuals with entrepreneurial mindset and skills, it is important for students to build this competency. This program will enable participants to get into the psyche of an entrepreneur and think like one. 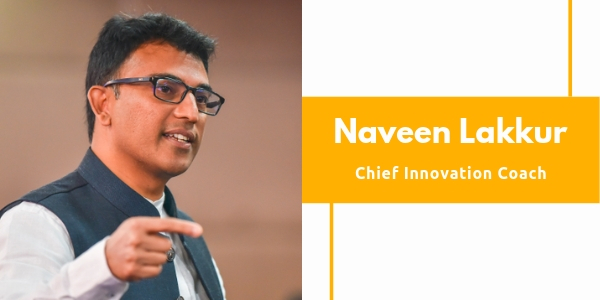 Naveen Lakkur is the Founder and Chief Innovation Coach at Institute of Inspiring Innovation. Corporate divisions such as Dell R&D, Mercedes Benz Research & Development, Standard Charted Bank, TCS Health Care, Fuji Film Sericol, Crimson Logic, have utilized his training programs to nurture their human capital with innovation competencies. Naveen Lakkur is a serial entrepreneur turned Innovation coach. Naveen loves to inspire enterprises and entrepreneurs to innovate and guide them to grow in the right direction. In his professional career spanning 25+ years in the industry worldwide, he has co-founded several innovative companies. He has also been a catalyst for 250+ ideas to have become commercial realities. He is passionate about sharing his practical knowledge of building companies and nurturing ideas. He brings to the table his personal experience of a unique combination of ‘Systemic Innovation ~ A Structured and Scalable Approach’ and ‘Tactical Innovation ~ A Frugal and Flexible Approach. Besides his active engagement with the industry, he indulges in writing books with international recognition and he loves telling business stories. Every individual in the corporate scenario needs to think and be innovative to stand out from among the crowd of talent. Competency development is the need of the hour. Special Sessions are held for corporates to send their employees, as well as for individuals to sign up and help build their innovation competency.